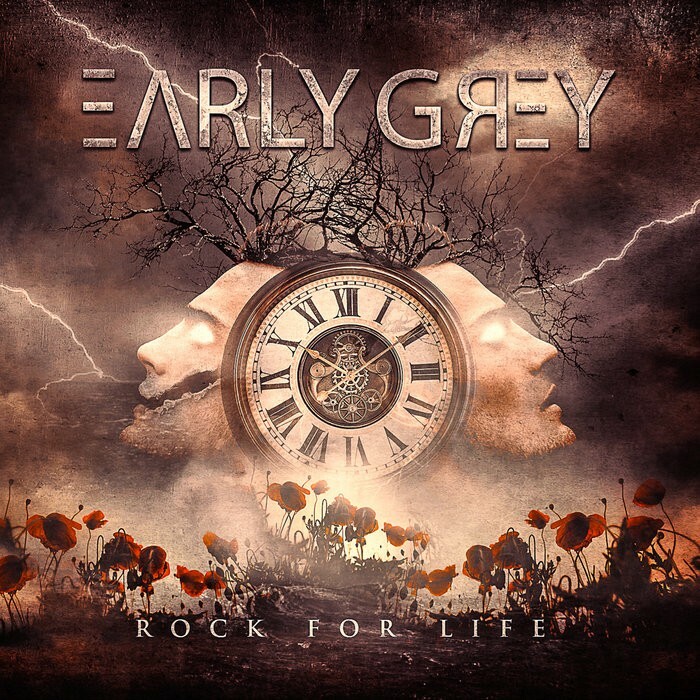 'Rock For Life' is the follow-up release to Early Grey's first album 'Secrets Of The Heart' released last year. The songs on this album are all very catchy, with good hooks and melodies, as well as some accomplished guitar playing. The downside is that the lyrics can be a bit clichéd and predictable, but to be fair, with English as a second language and being brought up on Classic Rock music, it is not too surprising. 'Into The Life' opens the album with its Bach-type church organ intro that leads into 'Rock Your Life' with the introduction of the guitar tracking the keyboard riff. 'Free Me' is up next and it's a catchy mid-paced number with a heavy opening guitar riff. 'Destination' is an up-tempo number which is Pop Rock in the style of Simple Plan meets Bon Jovi. 'Love Will Come' opens with keyboards and vocals for the first verse before the introduction of guitar and drums for the bridge – a very Foreigner sounding track. 'Never Let You Go' is a heavier, rockier track that fairly rattles along with its dual riff Hammond Organ and guitar attack which gives the song an obvious Deep Purple feel. 'I Beg You To Stay' is a heavy mid-paced track and it's followed by the instrumental 'From Begging to Blame' that showcases Sergey "Grey" Lisin's guitar skills. 'Blame It On Love', 'Don't Turn Away' and 'I Don't Wanna Wait No More' complete the album in the same melodic vein. 'Rock For Life' is a very melodic offering that was an enjoyable listen. It covers a number of differing musical styles with early Bon Jovi being the closest comparison I could think of. It is very much to the band's credit that they have been able to self-release an album that sounds as good as this does – in both the vocal and instrumental departments. My particular highlights of this album are 'Destination', which would make a great single, and 'Never Let...', which is a fine ballad.